This exhaustive exhibition of more than 200 sculptures, paintings, and drawings covers more than 40 years of artistic output by Alberto Giacometti (1901–1966), one of the most influential artists of the 20th century. The show offers a unique perspective on the artist’s œuvre, with a particular focus on the extraordinary collection of art and archival materials assembled by the artist’s widow Annette, and maintained by the Fondation Giacometti in Paris. Highlighting Giacometti’s interest in malleable materials like plaster and clay, the exhibition will enable visitors to see all eight sculptures from the exceptional set entitled Women of Venice (Femmes de Venise), reunited for only the second time since their creation for the 1956 Venice Biennale, following their restoration by the Fondation Giacometti. 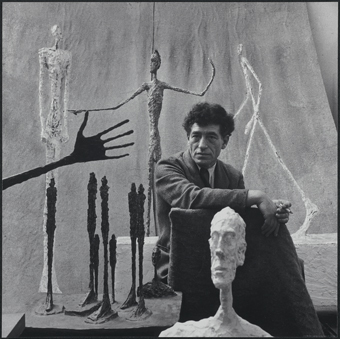 Alberto Giacometti. A Retrospective is organized by the Guggenheim Museum Bilbao in collaboration with the Fondation Giacometti (Paris).